In the event that the UK leaves the EU without a deal, from 11pm GMT on 29 March 2019, many UK businesses will need to apply the same processes to EU trade that apply when trading with the rest of the world. If you want to use the EU VAT refund electronic system to submit a refund claim for 2018 you’ll need to do so by 5pm on 29 March 2019. If claims are submitted after that, HMRC will not be able to send your claim on to the relevant EU member state. If you’ve paid VAT in an EU member state in 2019 you should not use the EU VAT refund system to make your claim as it may be rejected by that member state. After 29 March, you must claim VAT refunds from EU member states by using the relevant member state’s existing process for businesses based outside the EU. This includes outstanding claims that relate to 2018 expenses, and claims relating to 2019. Making Tax Digital for VAT requires VAT registered businesses with taxable turnover above the VAT registration threshold (income above £85,000 for 2018/19 and 2019/20), to keep records in digital form and file their VAT Returns using software. It is increasingly common for business records and accounts to be kept digitally, in a software program on a computer. The difference under Making Tax Digital is that the software which businesses use must be capable of keeping and maintaining the records specified in the regulations, prepare VAT Returns using the information contained in those digital records and communicating with HMRC digitally. If digital records are up to date, the VAT software will be able to collate and prepare your return for you. It will then show the return to you and ask you to declare that it is correct and confirm that you want to submit it to HMRC. Once you have submitted your return you will receive confirmation through your software that it has been received. While anyone who did not file their tax return by the 31 January 2018 deadline will already have been charged a penalty of £100, they will also have to pay a daily penalty on top of that if it is more than three months late. For online returns with a 31 January 2018 filing date, additional penalties will kick in from 1 May 2018. The £10 daily penalties continue to be chargeable for up to 90 days unless the taxpayer submits their return within that time. Therefore, if a tax return for 2016/17 has still not been filed by 31 July 2018, the initial penalty of £100 and the daily penalties chargeable will amount to a total of £1,000, in addition to a further penalty of at least £300. These automatic penalties take no account of the amount of tax an individual owes, even if nothing is owed or you’re due tax back. Anyone who has registered for self-assessment must submit a tax return or inform HMRC that they no longer fall under the self-assessment criteria and ask HMRC to agree to cancel the requirement for the tax return. If they do this, then any late filing penalties will also be abated. 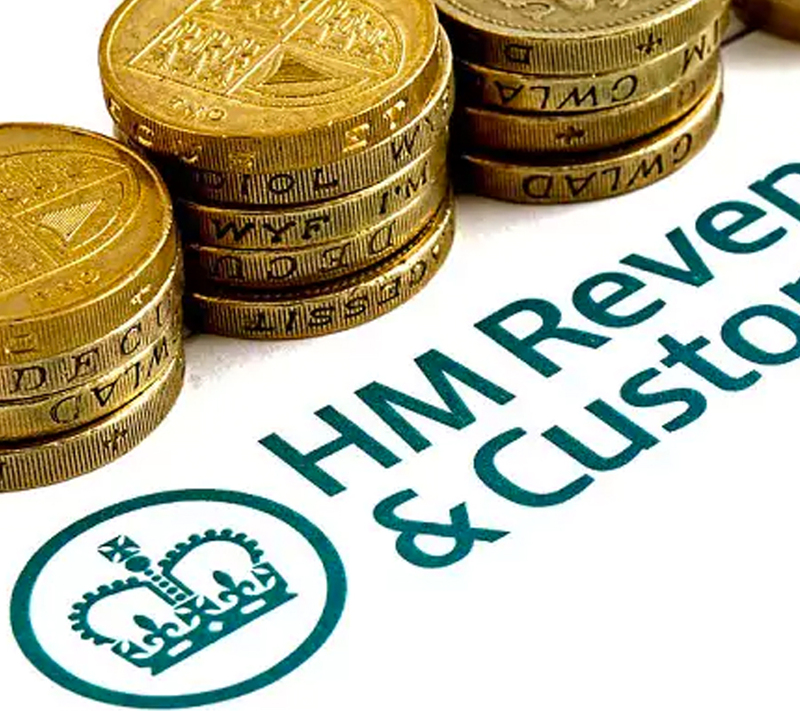 If someone believes they do not need to be in self-assessment, for example because their taxes are fully dealt with under the PAYE system or simple assessment, or because they have left the UK, they should be able to ask HMRC to withdraw the notice to file a tax return. Such an application must be made within two years of the end of the tax year to which the return relates. Even if HMRC do not cancel the request for the tax return to be filed, late filing penalties can be appealed if there is a reasonable excuse for filing late such as prolonged ill-heath, bereavement or family breakdown. Those who should have registered for self-assessment for 2016/17 but have not yet done so, do not fall under this penalty regime. Specific rules apply to such ‘failure to notify’ cases, penalties are based on the amount of tax lost as a result of the failure to notify and are stepped according to whether or not the failure is deliberate and the quality of any disclosure. For any parents or carers considering applying for tax-free childcare it is advised to check all childcare benefit options as it may be found other benefits which are currently being received add up to more financial assistance than what tax-free childcare is offering. If an existing tax credit claimant makes a claim for tax-free childcare, even if they do not claim any help with childcare costs through tax credits, their whole tax credit claim will be automatically terminated. If they live in an area where universal credit full service has rolled-out they may find that they are not able to claim tax credits again and this is very confusing. Someone is not entitled to tax-free childcare if they claim tax credits (any tax credits, not just childcare support) or universal credit. They also cannot receive childcare vouchers or directly-contracted childcare via their employer at the same time as receiving help through the tax-free childcare scheme. This means that people thinking of applying for tax-free childcare need to ensure that it is the right scheme for them before claiming, which involves a series of complex calculations. For some people, who do not currently receive any government benefits or childcare support, the choice to apply for tax-free childcare will be an easy one. However, those on lower incomes who claim tax credits or universal credit or who get help with their childcare costs through their employer need to ensure they seek good advice to make sure that tax-free childcare is the right choice for them when compared to the other options. Those new to paying childcare will need to work out carefully which scheme will provide them with the most financial support. Whatever your decision, please take caution as there is the risk that if the wrong option is chosen, (meaning the parent or carer does not receive the full benefits that they are entitled to), this can mean you are financially worse off. And in some cases this decision may be irreversible. There are different levels of National Minimum Wage (NMW), depending on your age and whether you are an apprentice. If you’re aged 25 and over, you’ll get the National Living Wage (NLW). The hourly rates change every April. The apprenticeship rate does not apply to Higher Level Apprenticeships. Agricultural workers in Northern Ireland are entitled to the Agricultural Minimum Wage rates, rather than the NMW or NLW, unless the NMW or NLW rate is higher. No worker can be paid less than the NMW or NLW, but some agricultural workers must be paid more than the NMW or NLW because there is a higher Agricultural Minimum Wage rate. The rates change in April each year. These are the minimum hourly rates before tax and national insurance deductions. Where at any time the NMW becomes higher than the hourly rate set out above, then the minimum rate shall be equal to the NMW. When overtime is to be applied after 39 hours of work, it will be applied at time and a half. With the current tax year ending on 5 April 2018, now is the time to get your tax affairs in order. Below are some important tax planning points to which may be of benefit. Pension contributions are still a tax-efficient way of saving for retirement, with tax relief given at your highest marginal rate of income tax. Tax relief is restricted to the lower of the annual allowance, which is £40,000 for most people, or your net relevant earnings. It may also be possible to take advantage of your unused annual allowance from the three previous tax years. This is a complex area as pensions are subject to a lifetime cap as well as potential restrictions for higher earners, so you should get specialist advice before making any contributions. Transferring assets such as property or quoted investments to a spouse or civil partner is accepted by HMRC provided there is an outright gift with no conditions attached to it. Following the change in how dividends are taxed, it can be beneficial for both spouses to receive dividends so that they both utilise the available zero percent band. The current band of £5,000 drops to £2,000 from 6 April 2018. From April 2017 there has been a restriction in the amount of relief that can be claimed on interest charges by landlords who own residential property. The restriction is being phased in over four tax years and, by 2020/21, higher rate tax payers will only be entitled to basic rate tax relief on their finance costs. As well as the potential income tax benefits, transferring assets between spouses/civil partners could reduce the high income child benefit charge and also the potential loss of personal allowance. It is also important to consider Stamp Duty Land Tax (SDLT) implications where debt is involved. Gift aid donations to charity also give tax relief at your highest marginal tax rate. Any donations made before 31 January of the following tax year, or the date of the submission of your tax return if earlier, can be carried back to the previous tax year. Cash donations made before both 31 January 2019 and the submission of your 2017/18 tax return can be included on your 2017/18 tax return. This is the amount of income you can receive that you don’t have to pay tax on. In 2017/18 this is £11,500. Pension contributions and cash charitable donations can increase the amount of income that you can receive before you start to lose your personal allowance. In 2017/18, £1,150 of an individual’s personal allowance can be transferred to a spouse or civil partner, providing that neither the transferor nor recipient is liable to income tax above the basic rate band. There is an annual exemption for CGT of £11,300 for 2017/18 for individuals. Spouses/civil partners could consider transferring assets to ensure that they both utilise their annual exemption and also any gains above this being taxed so as to make maximum use of any unused income tax basic rate band, if one of them is a higher rate taxpayer. Consider timing carefully if you are disposing of assets. In some cases, it is better to sell assets before the end of the tax year. In other cases it might be better to delay a disposal so to take advantage of the following year’s annual exemption and/or defer the payment of any capital gains tax for another 12 months. The 2017/18 overall limit for ISAs is £20,000. This can be invested in cash or stocks and shares. Any income or gains arising on the investments will be tax free. If you are aged between 18 and 40, consider opening a Lifetime ISA (LISA). An individual can contribute up to £4,000 per year while under 50 and receive an additional 25% Government bonus. This means for every £4 contributed, the Government will add a further £1, worth up to £1,000 a year. A LISA can also be used to help fund your first home. LISA contributions count towards an individual’s annual ISA contribution limit but any bonus received does not. Confusion about the operation of inheritance tax (IHT) is growing, with over two thirds of those liable not knowing the threshold for the standard nil rate band of £325,000, according to a survey by Canada Life. For many people, their single largest asset is their house. Hopes for securing their children and beneficiaries financial futures rest on being able to pass on as much of its value as possible. Last month the government announced plans to review the ‘complex’ IHT system in the UK, tasking the Office of Tax Simplification (OTS) to make recommendations about possible reforms. The OTS will consider simplification options; IHT has become increasingly complex in recent years as successive governments have failed to increase the base IHT limit of £325,000 for individual taxpayers in line with soaring house prices or inflation. There is a higher limit of £650,000 for married couples and civil partnerships. In addition there is the residential nil rate band, applied to lived-in property and this will earmark up to £1m exempt from IHT by 2020.
you leave everything to your spouse or civil partner, a charity or a community amateur sports club. If you give away your home to your children or grandchildren, your threshold will increase to £425,000. If you’re married or in a civil partnership and your estate is worth less than your threshold, any unused threshold can be added to your partner’s threshold when you die. This means their threshold can be as much as £850,000. The standard Inheritance Tax rate is 40%. It’s only charged on the part of your estate that’s above the threshold. The minister made clear in his speech that he was very conscious of the dangers for the Irish economy arising from Brexit. This was reflected in his decision to retain the 9% VAT rate for tourism. The threshold for the higher rate of tax for an individual increases from €33,800 to €34,500. The 2.5%rate of USC is reduced to 2% therefore increasing the band from€18,772 to €19,372. An increase of €200 in the earned income credit bringing the amount to €1,150. Capital gains tax treatment to apply to gains on share options granted by unquoted Small and Medium-sized Enterprises (SME) companies to key employees where the conditions of a new Key Employee Engagement Programme (KEEP) incentive are met. Whilst PAYE and Self Employed workers earning up to €70,000 will each benefit from the reduced USC rates, self-employed individuals will also get the benefit of the increase of €200 in the earned income credit which has been increased to €1,150. The minister also announced a number of measures designed to alleviate the shortage in residential accommodation. The reduction from seven to four years of the holding period to qualify for the capital gains tax exemption on certain property assets should be of assistance in freeing up supply. Climate change announcements in the budget include CAT relief for land used for solar panels, the renewable heat incentive and most importantly the recognition given to the fast-approaching electric car revolution by removing BIK for, at least one year. This will also benefit the farming community who can now share in the economic potential arising from the deployment of solar farms across the country. From April 2017, a 4 year equal phase-in will commence and mortgage interest will no longer be deducible when calculating your rental profits. This is applicable to residential property and so you will not be affected if you operate a Furnished Holiday Let or a commercial lettings business. It will also not affect those with property in a limited company, but will affect LLPs and partnerships. For more information please see the official HMRC Website.